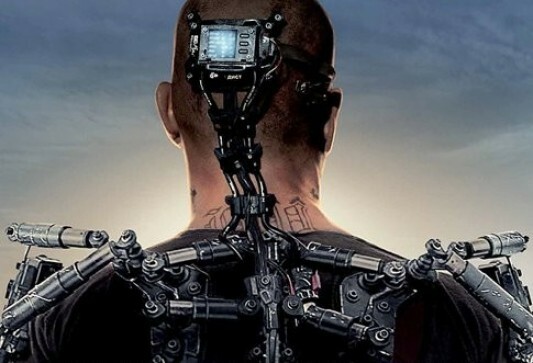 Do you think Matt Damon’s character in the movie Elysium is a cyborg? Or do you you think he’s just a base human using an exoskeleton? Release date: August 9, 2013.